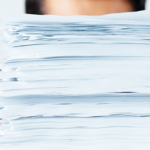 As much as we all try to go paperless, most businesses require print services. Exactly how much and what any business needs can vary, which is why a one-size-fits-all approach is never the best option. A professional print analysis can take a detailed look at everything related to printing within your office. It will track usage, spending, and more data you may not have considered important. Then it uses that data to help you craft a printing solution that is customised for your business. Here’s why your Sydney business needs a print analysis. You can’t expect to correctly budget if you don’t know how and why you’re spending money. This is the primary purpose of a printing audit. It looks at every specific detail of spending related to any type of printing function and tracks it thoroughly. While this alone could prove to be enough to understand the importance of this analysis, it’s not the full extent of how it can help your business. 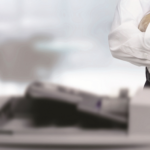 The process of tracking printing in your place of business includes a look at workflow. 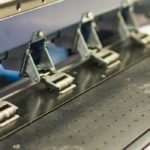 It’s easy to overlook how inefficiencies in print services are wasting valuable labor, but a proper analysis showcases these inefficiencies. Not only will improved workflow waste less time for your employees, but it will also streamline office processes. The benefits are endless, and it all stems from a proper print analysis. Your print analysis stands to help you save money on printing-related contracts as well. These contracts feel like they’re in a constant state of flux, and chances are that one or more of them will be up for renegotiation within another year. Understanding the intricacies of your printing needs will help you secure a better deal. While the other benefits of a print analysis can provide a clear price tag, this is one area that has immeasurable value. If your business handles private data, your printing services could be a gaping security vulnerability. An analysis can identify any risks and help you resolve them right away before any data breaches can occur. It’s easy to see the reasons why a print analysis is essential to your business. Contact Orion Print Management to schedule an intuitive analysis and begin your journey towards streamlined and efficient printing.